I’ve been to Ragdale Hall at least five times so I tjhink I’m qualified to talk about why I love it…..in fact, this time last week, I was back there happily having my skin buzzed during my Sonic Cleanse Facial – and then my time was up. I had to remove my fluffy white gown, stop and go back to a world where I have to make more pressing decisions than which pool or hot room to sit in. I don’t like the real world – it’s stressful and right now, there seems to be a lot of snow. I am therefore applying for the (not advertised) position of ‘writer in residence’ at Ragdale Hall and would like them to allow me to move in. Awaits reply…..listens to stony silence…figures she’d best just write a normal Ragdale Hall review then. So, why do I love the place so much? Well here’s four reasons to start you off…..
1) They have a little outside swimmy stream – and it’s hot! The water and steam facilities are Ragdale are amazing – steam rooms, salt rooms, saunas, floaty candlelit pools and rooms with flowery ceiling projections, even an exercise pool in which you can do prison style pull-ups on a special machine, they are all there for your relaxation pleasure, but my absolute favourite place in the whole spa is accessed via three strips of plastic! Swim under the plastic and you’ll end up in a steamy hot river outside the building – with massage jets. I can sit there for hours. It’s like having an outside bath – but unlike most outdoor jacuzzis you don’t have to get cold getting in and out. Genius!!! 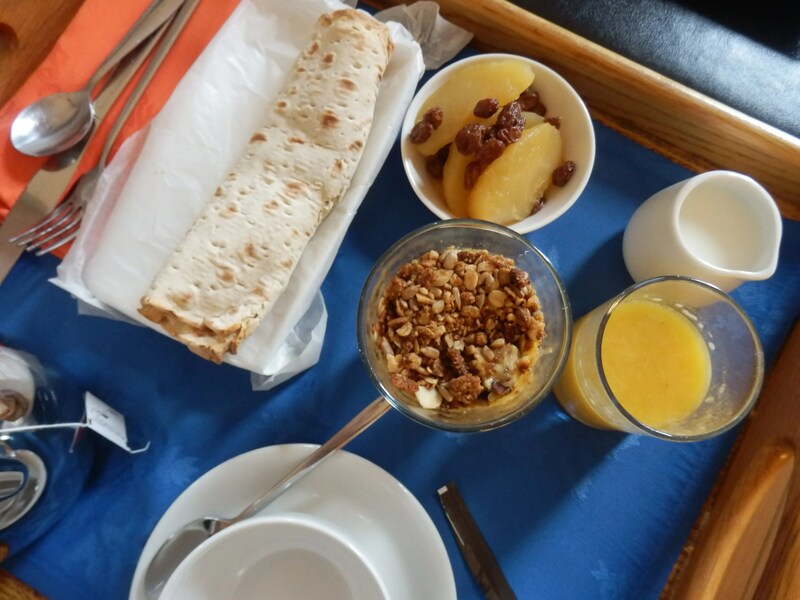 2) The food at Ragdale Hall is really innovative. As you may know, I’m fascinated with the fact that there are still foods in this world I haven’t yet tried – and during my weekend at Ragdale I consumed two more of them. Ling – a white fish that came served grilled with a garlic aoili (simple but really, really good) and some christophine. 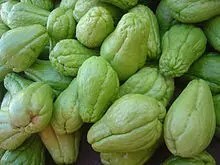 I had never, ever heard of this before – but Wikipedia tells me that it is also known as Chayote or a Choko to my Australian buddies and it’s a relative of the cucumber, which makes sense as it tasted kind of like a cross between cucumber and celeriac. The team at Ragdale Hall mixed it up with prawns and red peppers in a salad and it was really good. Even food you have heard of gets an unusual twist – I nearly passed on a scoop of the Marinated Herring on Red Cabbage at lunch, I’m so glad I didn’t, it was one of the best things I’d ever eaten. I might not choose a dish that mixes watermelon and olives again though. That didn’t work so well. As much as I love new foods, I also love unusual sounding treatments – and Ragdale has lots of them. In past visits I have been rubbed with shells and a stick with a big crystal on, this time I choose The Golden Touch – a treatment that saw me scrubbed with caviar, wrapped in champagne infused clay then moisturised with a lotion containing gold dust. Swanky I thought. Actually, it’s the treatment for cheapskates! For £72 you get five treatments in one 70 minute session. This is excellent value – it starts with a body scrub using the aforementioned caviar scrub (thankfully more sugary than fish smelling), then you have the wrap (sadly not wine smelling) and while that is working its wrappy magic, you get a little mini facial. Finally, you finish with a full body moisturising treatment that includes a back massage AND leaves your skin sparkly with gold dust. It was great and I felt suitably chilled, buffed and smooth afterwards – and I didn’t feel I needed to book any other kind of pampery treatment. 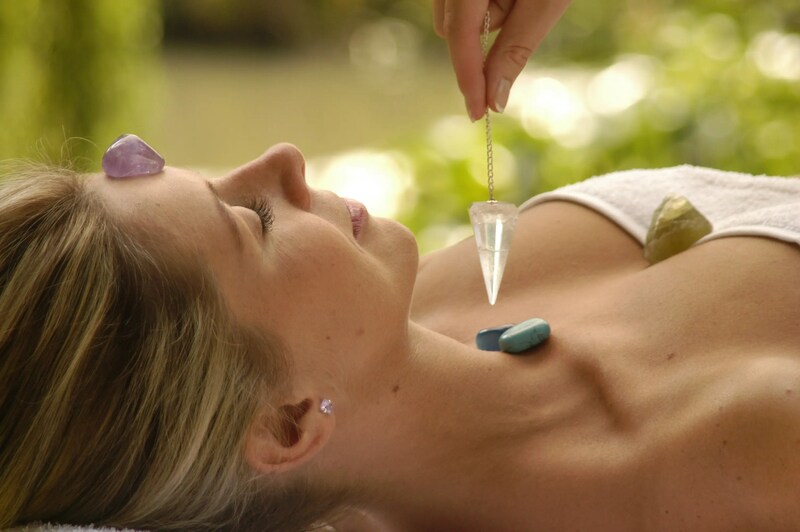 When they make me ‘writer in residence’ I will also have time to try out the Bamboo Massage (rubbed down with a stick – since I wrote this piece I have actually tried this at Champneys) and the Chakra Silks treatment (which seems to involve bits of coloured material and Reiki energy). 4) Finally, the absolute main reason I would recommend Ragdale Hall is that it’s a proper spa and everyone there acts accordingly. They have areas clearly designated ‘silent’ that people respect and, in the other areas, people still do tend to keep the noise down. There was a large family group celebrating a birthday there while I was there – and I only realised because they left at the same time as me and had the leftovers of a cake and one of them was carrying lots of gift bags marked Happy Birthday! Compare that to my recent experience at my other favourite place of indulgence, Hoar Cross Hall, where we actually left early on one of our visits due to the intrusive nature of groups of other guests. Of course not everything in the garden is perfect. I wouldn’t be doing you justice if I didn’t mention I couple of things that are referred to as Ragdale Marmite – and may, or may not, influence your enjoyment of the place. You choose what you want the night before and then it’s delivered sometime between 7.45 and 8.30am. 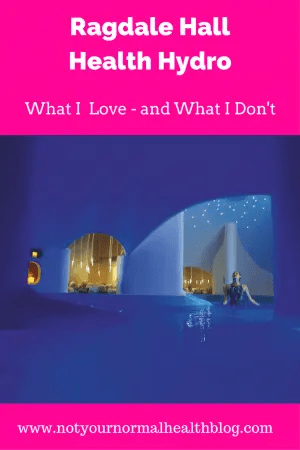 I love this and spend at least 15 minutes making my decision and ticking the little boxes – my mother absolutely hates it and would prefer to go to a restaurant to eat. Speaking to other people it seems we are not alone in being divided of opinion. 2) Some rooms have single beds. This is rare in most places I’ve stayed at recently and again, while I find it quite cosy, if you’re looking forward to starfishing about in a huge hotel room bed you might be a bit disappointed to find yourself in something that reminds you of your teen years. This is the only thing I personally don’t like about Ragdale, most packages are a minimum of two nights – AND you can’t arrive until after 3pm (for most breaks) on the first day – if you have a long drive home, that makes it only one full day for a minimum of £296 a person. In my mind that’s the same price as a week’s holiday somewhere hot. Admittedly, two nights at Ragdale Hall are as relaxing as a week in the sun, not to mention that for £300 I’d probably end up somewhere hot that also has bedbugs and a donkey roommate but it’s still enough to just make Ragdale Hall a once every two year experience, not the once or twice a year trip I’d like it to be. Admittedly, they do offer limited overnight breaks for £199 so do check for those on the website. Note: this time they did host me – but when I’ve gone in the past I have paid my own way. Are any of these things enough to put you off going though? Absolutely not. 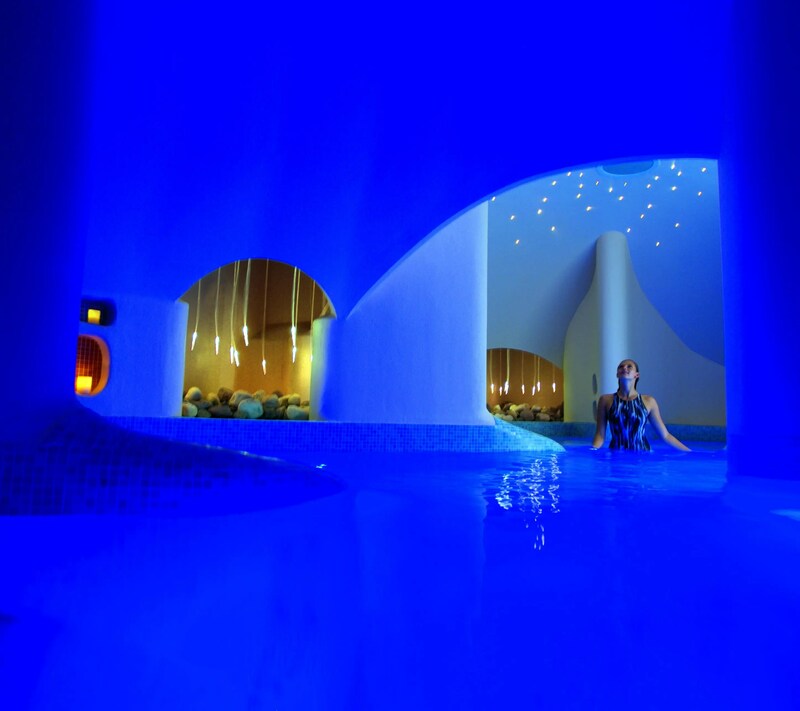 Of the spas I’ve visited recently it is the best – and deserves the awards they regularly win. If you do go, don’t send me photos. Envy makes me wrinkle. Unless they do let me move in of course – and then, feel free to come and say Hi. I’ll be the really chilled girl hogging the outdoor shoulder massaging jet. If you’re interested in booking a stay or a day package at Ragdale Hall, click to check out the deals on the SpaBreaks website.